Dr. Tom Roselle hosts his weekly broadcast program to provide his patients and listeners with proven natural health and wellness care methods. You can listen to Dr. Tom Roselle Live on WMAL 105.9FM, AM630 and at wmal.com weekly on Sundays at 12 noon EST. Each week, listeners tune into Dr. Tom Roselle Live! to learn about natural health and wellness care from Dr. Tom Roselle, DC and his weekly guests. 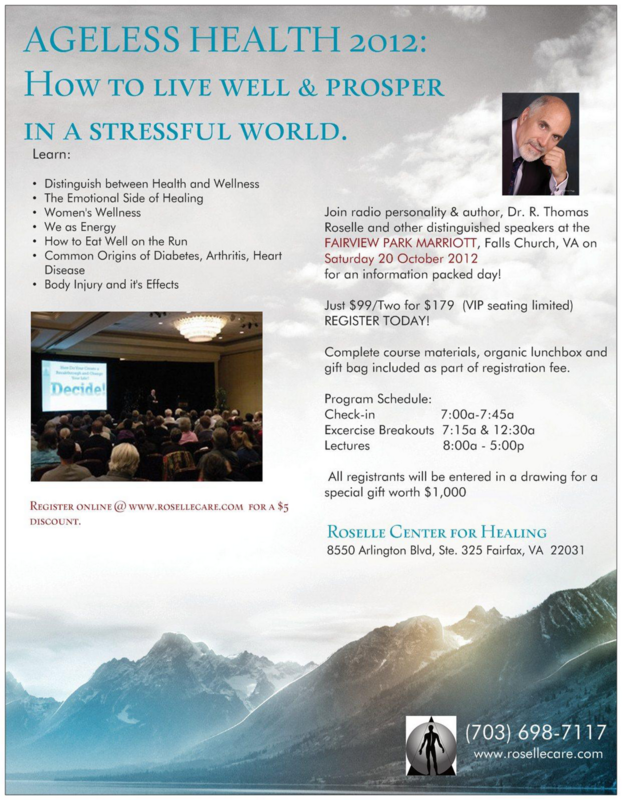 Dr. Tom Roselle Live! is a health and wellness radio talk show that broadcasts live in Washington D.C.; and features health and wellness information on Chiropractic, Acupuncture, Applied Kinesiology, Nutrition, and several other aspects of wellness care and integrative and functional medicine that affects all family members, including children and seniors. Tom Roselle Live! aims to help listeners achieve optimal levels of health, vitality, and wellness. The health talk show airs every Sunday at 12 noon ET on WMAL 105.9 FM and AM 630 in Washington, D.C., Maryland, Virginia and West Virginia. You listen to the show on-demand or via Youtube. 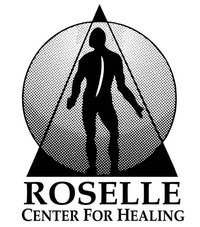 Since 1983, Dr. Roselle has hosted various radio talk shows, first aired as Chiropractic Call-In, then Health Alternatives, followed by Total Health Concepts and now "Dr. Tom Roselle Live." The broadcast provides listeners with the latest information on integrative, holistic and wellness health care methods. © 2010 Roselle Radio / All Rights Reserved. Simple theme. Theme images by TommyIX. Powered by Blogger.